100 pages with pictures, bilingual book. 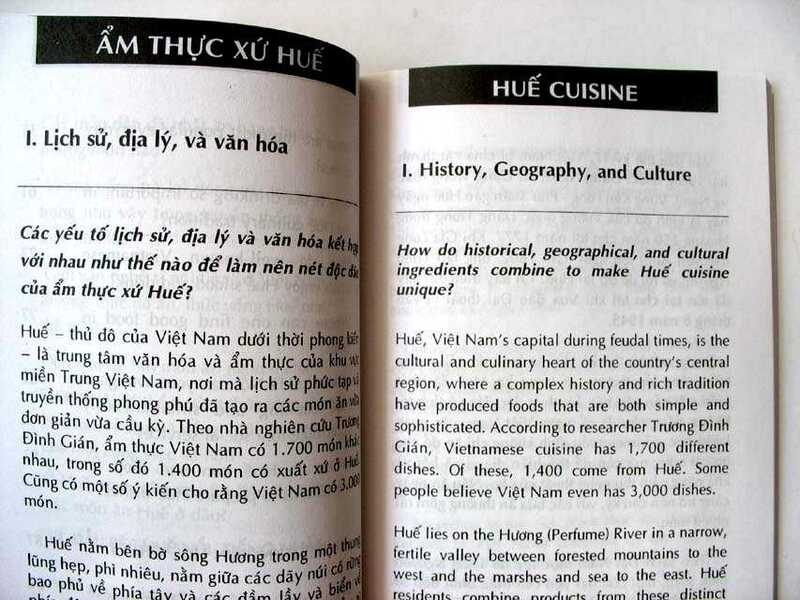 This book is a good source of information helping you learn about Hue Cuisine. Hue cuisine specializing in the famous royal cooking and how it influenced the daily life of Hue people. Hue, the old Vietnamese citadel, is in the central of Vietnam. 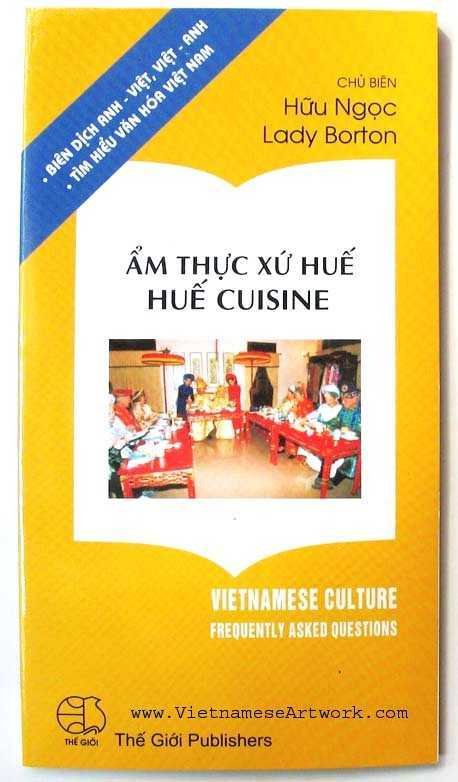 You also got the answer for the questions: How does Buddhism influence people's eating habits in Hue? What did people in Hue eat to celebrate the Vietnamese Lunar New Year? What are the most popular everyday dishes? Why is tea drinking so important in the Hue culinary tradition?